From the depths of Croydon come Auction, who produce infectious pop tunes with dulcet vocals, somewhere between Friendly Fires and the Mystery Jets. 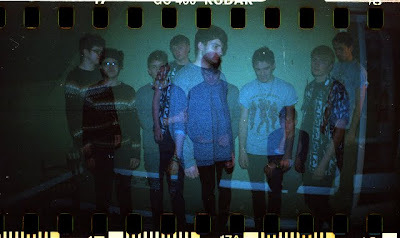 They're giving away their debut single 'Statues' for free download, prior to its April release. The band also thankfully put another track up on their Soundcloud, 'Slow', which doesn't quite match the dazzling synth-pop of 'Statues' but suggests that they could well have a few more earworms up their collective sleeves. Considering the five-piece also suggest Foals, Wild Beasts and The Police(?!) as influences, it'll be interesting to hear more from them. 'Statues' will be released on April 18th.